With the Holiday season right around the corner we’ve redesigned five of our fabulous Year of Monthly Gift Programs. Each week leading up to Christmas I will highlight what’s new about the monthly flower programs and share with you the incredible new offerings. Let’s start with our exotic Year of Tropicals. The gift program can be purchased for different time frames and prices – we offer 3, 6, and 12 month options. 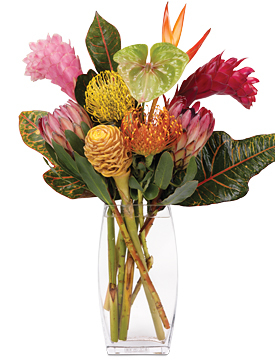 This makes it easy to treat someone special in your life to the world’s most beautiful tropical flowers. This year’s tropical flowers have been sourced from around the globe. 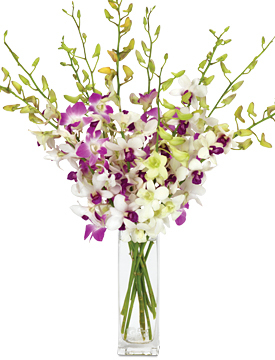 We have orchids from Thailand and anthuriums from the Hawaiian Islands and mixed tropical bouquets straight from sun-kissed Costa Rica and the golden coast of California. 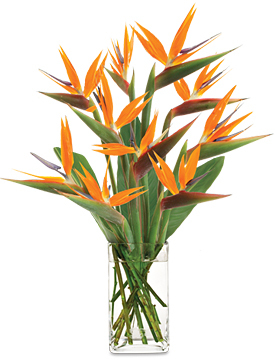 Giving the gift of a Year of Tropicas is in short, a year of blooming paradise for your home. What makes tropical flowers so exciting and intriguing are their lush colors, substantial size and distinctive shapes. 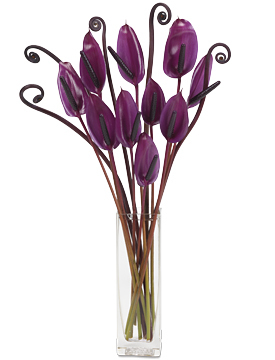 They are unlike any other flowers and what I like best – they are super long-lasting to boot! What do you think? Are you ready to take on tropicals in 2011?